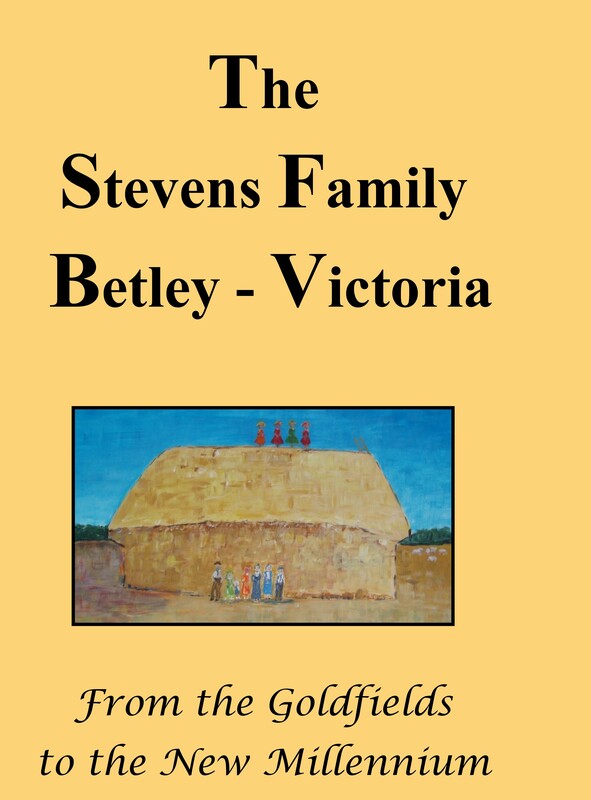 “The Stevens Family, Betley – Victoria” – Is not for sale. But I would like anyone interested in doing a family history to know how I went about ours. As just about the youngest of several first cousins who met annually I invited everyone to submit stories of their lives growing up on or visiting our great-grand parent’s property in Central Victoria. What developed was almost 200 pages of social and family history dating right back to the day George and Diana arrived at Portland on 31st January 1855. There are of course, dates of births, deaths and marriages, and all are accompanied by photos and stories about the family . My own story follows.